Both producers and consumers will benefit, observers predict. DUSHANBE – Food that meets Tajikistan’s halal standards became available for public sale July 20, authorities told Central Asia Online. “[Eating halal food] is one of the main rules for observing Sharia,” Council of Ulema Deputy Chairman Abdulbasir Saidov told Central Online. Six Tajik food producers already meet the new standards, said Narzullo Sharipov, chief of Tajikstandart, the government agency for overseeing compliance with various standards, and the food is expected to gain prevalence. The government developed the halal standard over the past two years with help from the Tajik Council of Ulema, the Health Ministry, the Committee for Religious Affairs and the Agriculture Ministry Veterinary Service, as well as by reviewing neighbouring countries’ experience, Sharipov said. Halal food may not contain any haram (forbidden) components, such as pork or meat from animals slaughtered by suffocation, electrocution or a blow; and a Muslim must perform the slaughter, with him or someone else pronouncing Allah’s name during the process, Saidov said. The requirements apply across food categories, including meat, bread, baked goods, dairy products and non-alcoholic drinks, Tohir Mudinayev, another Tajikstandart official, added. Two factors drove Tajikstandart to develop its own halal standard, Sharipov said. First, some food carrying haram components – like genetically modified organisms and chemical dyes – appeared; second, customers demanded it. Although Tajikistan previously produced and imported food called halal, no official Tajik body set a standard, meaning some food might have been called halal by mistake, he said. The Council of Ulema welcomes the move, Saidov said. 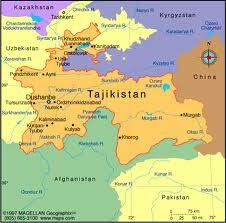 “Many Tajik residents constantly run into the problem of buying halal food,” he said. With limited producers and distributors of halal food and no proper certification process, consumers in the past often turned to foreign suppliers. “First, this impairs the growth of Tajik producers, and secondly, imported food costs much more,” he said. Enforcing the standards will give consumers “some sort of a guarantee … against dishonest producers,” Akhad Sadykov, a journalist who writes commentary on religious matters, told Central Asia Online. Many Tajik producers were complying with halal requirements even before the government issued a standard, 29-year-old Dushanbe resident Sitora Nazarova told Central Asia Online. “For a long time now, I have been buying only meat and dairy products labelled ‘halal.’ … My husband strictly adheres to the requirements, so our family observes them all,” she said. However, she said she is happy it will now be regulated. Abdudzhalol Shodiyev, who has been producing “Pokiza” sausage for 15 years, marked his products as halal almost from the start. “Though Tajikistan hadn’t adopted the standard when I started making sausage, as a devout Muslim, I observed all the requirements,” he said. One place selling halal food is the modest-sized Mekhrob shop, which has enjoyed a strong reputation for many years. Last year the shop owner performed the Hajj. Now, with the introduction of the official halal standard, he has decided to sell only halal food. “All our food, which is mainly produced in Tajikistan, meets the halal standard,” shop assistant Nosir Khamdanov said.